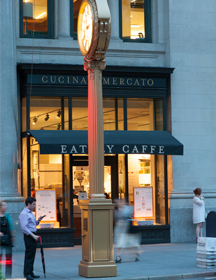 The lively casual atmosphere of Mario Batali's culinary temple, Eataly, is just steps away from One Madison. Eataly is an over 50,000-square-foot artisanal food and wine marketplace and the ultimate foodie destination. 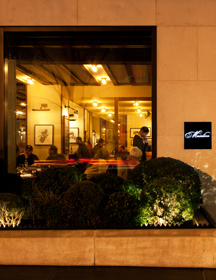 The atmosphere at Danny Meyer’s Maialino perfectly matches the Roman-inspired dishes that are served - soulful, warm and comforting. 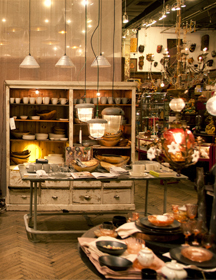 The neighborhood provides exceptional access to an eclectic collection of shopping destinations, such as one-of-a-kind design emporium ABC Carpet & Home, a six-floor fanatasyland of interior inspiration. 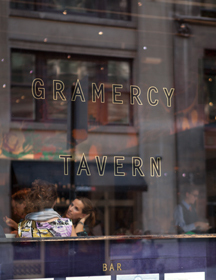 At the beloved Gramercy Tavern, highly acclaimed chef Michael Anthony serves a seasonal menu of contemporary American dishes so good that Gramercy Tavern is continually ranked at the top of Zagat Survey’s ‘Most Popular’ list. 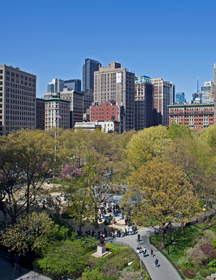 Abundant opportunities to explore the city’s dynamic cultural scene begin at your fingertips within Madison Square Park, which has in recent years become a renowned site for prestigious and provocative public art installations.